At noon on October 17, 2011, Animal Ark received a call about an orphaned 3½ month-old mountain lion kitten. Could Animal Ark take him? That very morning, we had said farewell to a much loved older cat, Tonka, and thus, Tonka’s enclosure stood empty. With space available, our new resident arrived the following afternoon. Daniel is the lone survivor of his family. His siblings had perished a few weeks earlier and his mother had been killed the day he was found. Mountain lions are very elusive, so normally nobody would have known that the mother had a kitten in tow. However, since this mountain lion family was being monitored by an UNR PhD candidate conducting a long-term study on mountain lion ecology, it was possible to locate the kitten, which ultimately saved his life. Mountain lions hold the world record for the most common names (Guinness Book of World Records, 2004). They are amazing jumpers and can jump 20 ft across in a single bound without a running start, and up to15 ft vertically. 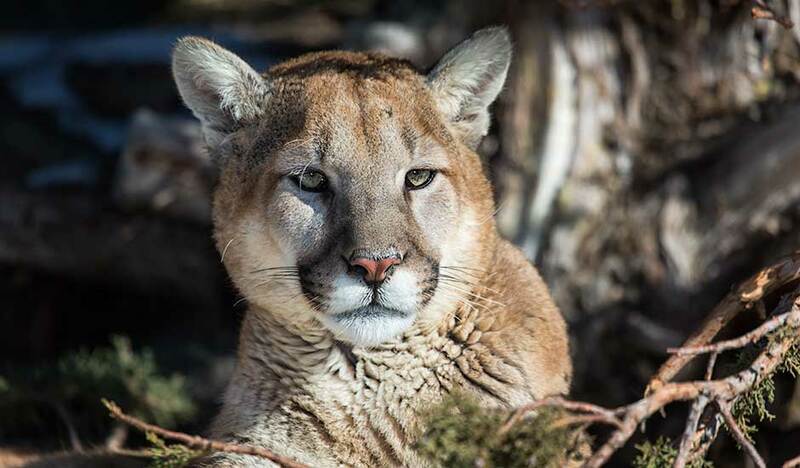 Learn more about the Mountain lion, puma, cougar. Learn more about becoming an adoptive parent.